The fast, easy, and low-cost way to connect a CCTV camera to a monitor, multiplexer, or video recorder. 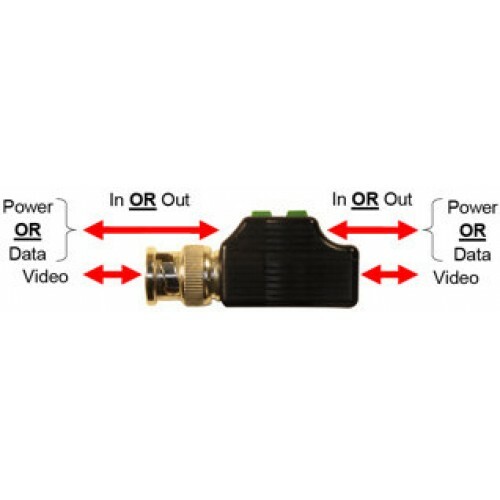 The EB-P501-02Q video balun allows the video signal of a single CCTV camera to be transmitted long distances over low-cost CAT2 to CAT6 unshielded twisted pair (UTP) cable. 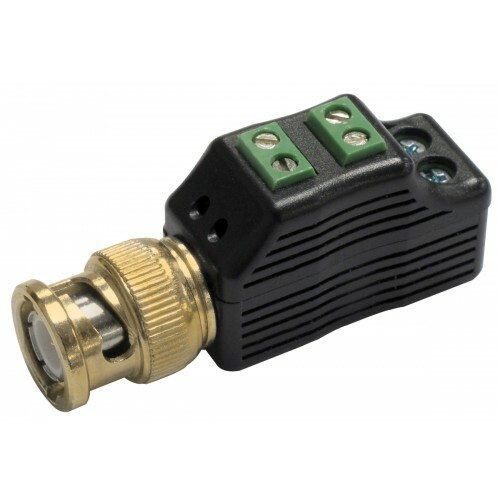 Great for both full-motion color and full-motion monochrome cameras, this balun increases the flexibility of where such cameras can be mounted. This CCTV balun also works over existing UTP cabling, making it perfect for use in nearly any building or across an entire campus. The EB-P501-02Q's patented design features built-in terminals for power OR data pass-through.